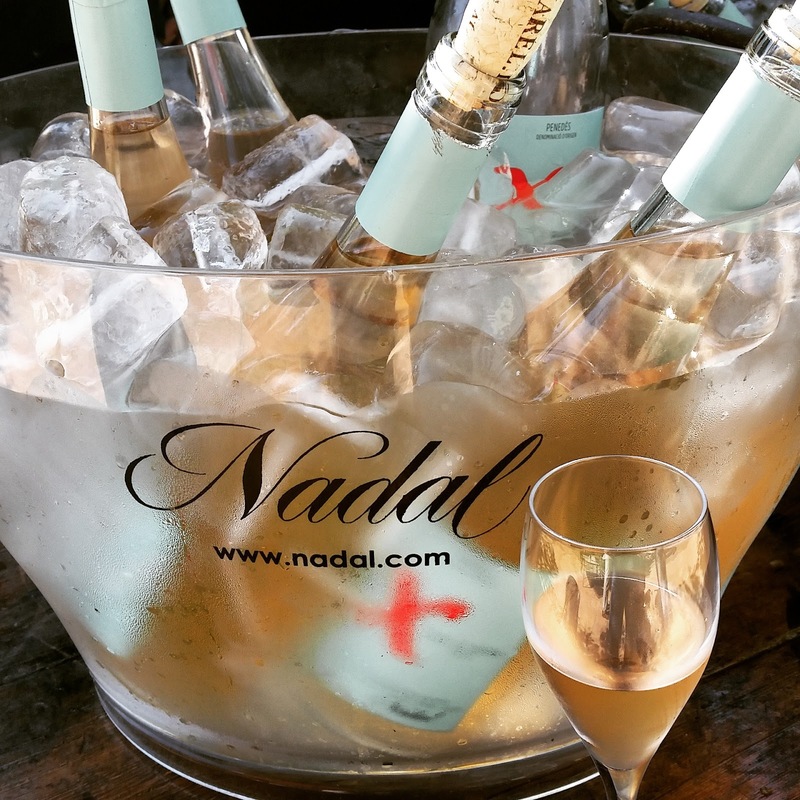 It was at the birthday celebration of Xavi Serra, manager at Cervesa Guineu, that I met Jesus Díaz Meco, sales representative of Caves Nadal, a family business that produces wines and sparkling wines in the small village of Torrelavit (Alt Penedès). After having a good time eating and drinking, for once, wine instead of beer, Jesús was kind enough to invite me to an annual celebration that is held in the property of Nadal: Tastos i Maridatges 2015 (Tastings and Pairings). It was a great event. Both white wines and sparkling wines were lovely. Plus, the event was a real treat for the good organisation, the delicious food available and the privileged environment provided by the courtyard of the property. 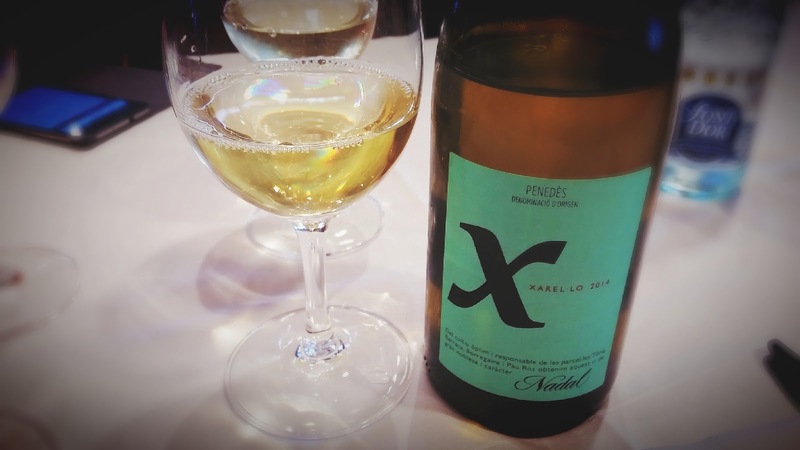 "We lack specialty, but above all we need to believe in what we're doing; and to transmit this confidence to the market"
It was more than five years ago since I last visited a winery, just a little before I registered this blog. The truth is that it was a blast. Throughout the day, in the courtyard, eating at each of the stands while drinking the whole range of wines; or at the vineyards and while visiting the production area, my beer me was processing the whole information, inevitably comparing it to the brewing industry. It was fun to connect and think about the many parallels between both industries, especially in the production process. Visiting a company that was founded almost 75 years ago, from an industry with deep roots and tradition in our country, I couldn't avoid my head to think about things we could learn from our wine fellows. That's why between reflections and sips from my constantly-refilled glass, I took some notes. But the notes scribbled in a notebook end up just there, so I decided to share with you an overview of some of these impressions. Things which, in my opinion, we can learn from wine. Many moderately-sized companies have their own specialty product, mainly defined by the grapes grown in their vineyards. By that I mean that, except in the case of large companies, there is a certain tendency towards specialisation in a certain range of wines, unwilling to embrace the whole stylistic variety offered by this product. For instance, in our local brewing industry we have producers like Popaire, who are probably one of the few that have a tendency to produce beers that stand out for their maltiness. Or Ales Agullons, who focus primarily on their characteristic easy-to-drink Pale Ales, while also experimenting with barrels, yeast and bacteria. That is not to say that there can be producers who brew almost any style of beer. But I do think that specialisation helps creating a distinguishing elements that allows brewers to be experienced in a certain field, thanks to the fact of choosing a particular approach when brewing, gaining an invaluable experience. In an increasingly competitive market, it is at least something to think of. Moreover, it is quite difficult to master the brewing of every single type and subtype of beer that can exist. Yes, back to the topic once again: core range and special elaborations. 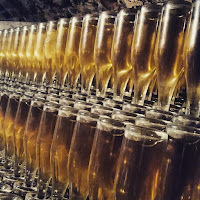 Most wineries are renowned for some of their wines, released each time virtually identical to the last one, with the only variation provided by the grape harvest. But also, from time to time, new products and limited editions are released, targeting either the general public or the connoisseur. I won't get tired repeating that many breweries could benefit from having a core product range: known by the public and always available. In addition, this range of products should be based on obvious factors such as consumers' taste, but also on others that sometimes seem to be overlooked, such as the availability of ingredients (or more specifically, hops), the consistency in their quality throughout the years, and their price in the market. Special products (seasonal, or single batches) can benefit, too, from market fluctuations and include ingredients that have a better price. Or, why not, being special products more expensive and exclusive ingredients could be used to produce an even more special and attractive beer to target amore demanding audience. How clever and original of me. No one had thought of it before ... Naturally, I'm not discovering anything special, neither in this paragraph nor in the whole post. But although local ingredients is one of those topics that as an industry we are mostly aware that should be tackled, there is still much work do. Meanwhile, with wine it is the opposite: own-harvested products are used, and whoever thinks of buying grapes in France or elsewhere is frowned at (if done without transparency, deeply frowned at). In Italy, microbreweries and appreciation for "craft beer" came about 10 years earlier than here, and one of the aspects that has made their beers stand out and position themselves well in the international scene is precisely the use of ingredients and products from their own country, so rich in gastronomy as we can be ourselves. Naturally, we have seen and drunk beers with local products throughout the years: from beer brewed with top-quality rice from the Delta de l'Ebre, to others with locally grown hops. In addition, there is at least one project to produce malt with local cereals for use in the brewing industry. 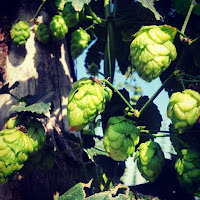 Some brewers have added other local ingredients in their beers: recent cases such as La Vella Caravana, with "Pera Nostra" (fruit ale, with pears from Lleida); Ausesken, with wheat from Osona in their "Blanca"; or Les Clandestines, who year after year release their "Fresca del Safareig" with green hops from their courtyard. This is undoubtedly one of the factors that can help beer have a closer link with the territory in the collective imagination, as it happens with wine. Another point is the collaboration between professionals. Here I could talk once again about the one-man band, because we obviously should understand that companies engaged in producing activities also need accountants, but in this case I want to focus on linking one's product to other quality products of other companies. 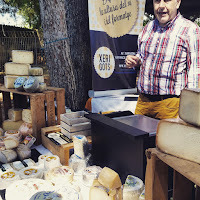 During Tast i Maridatges 2015, I was able to pair all the different wines with an outstandingly delicious representation of products from other small companies who make quality sausages, cheeses, nuts, bread, etc. All of them satisfied my senses to a great extent with their mastery. It was a feast. If you associate with quality, your product will also be highlighted as such. And it not only about gastronomy, but also about the arts, such as music or illustration, or other cultural and social expressions. The thing is to find common ground with other companies and industries, and to emphasise the value of those products offered by each one. To seek professional synergies that make quality products stand out and shine in the eyes of existing and potential consumers. In the end, and in layman's terms: we need to believe in what we are doing, and to transmit that confidence to the market. Well, so that was the development of most of the notes I took during my visit to Caves Nadal. Sure enough, there may be more factors. In fact, if I start thinking about it I quickly can think of a couple more. But broadly speaking these were the ones that were mainly dancing inside my head during that delicious visit a few months ago.